Unexpectedly,I still found time to take participation in "CWT26 (=The twenty-sixth Comic World in Taiwan,it was a comic convention in my country.)" ,I was very happy! One of them was related to Durarara(doujinshi),and the others were Axis power Hetalia,including books and iperipheral products. Ok,the first batch of scans were postcards(9 versions). Browse Hetalia: Axis Powers Gallery: Recent | Popular. 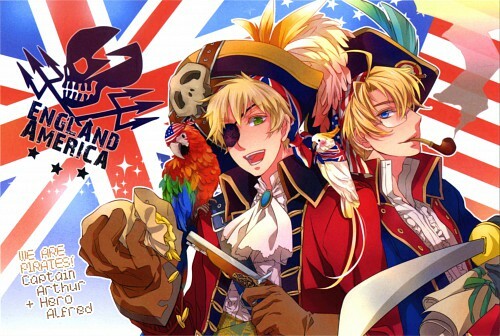 I LOVE this so much <3 America and England 8d They both look pretty awesome here. anyways, Alfred X Arthur and Ludwig X Gilbert are also my mooost fave pairing! I LOVE IT! Thanks for posting this! My first favorite in Minitokyo!